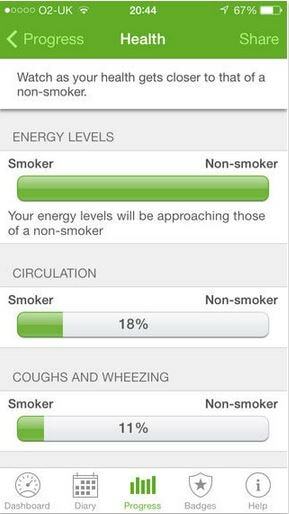 Quit smoking with this app that's designed to help researchers understand how to help people stop smoking. You can also download the app without participating in the study. 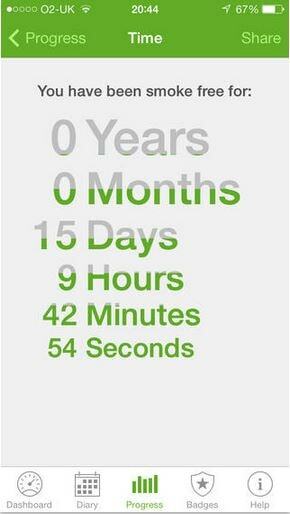 You'll receive tips to help you quit and can record the number of cravings you have each day and their severity. You can also keep a 10-second diary about your journey, to help you stay on track and inspire others along the way. The app is easy to use and has clear data collection. 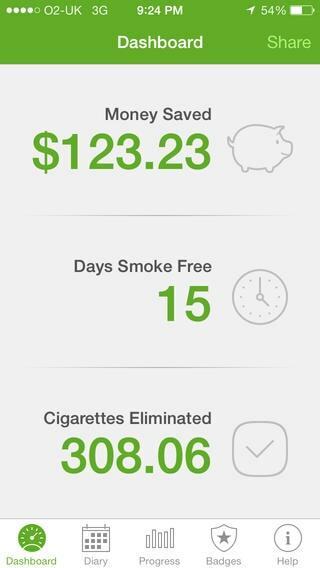 If you're a smoker and put in all the details honestly, it tracks how much money you're saving, how many hours you've been smoke-free and how many cigarettes you've eliminated. Continually tracking and popped up with reminders every few hours. The app has the foundations of something great to come, with the initial indication that it is part of research for a PHD project, you immediately feel that your using something from a credible source that 'should' be able to help you succeed in your goal of quitting smoking. There is a severe lacking with regards to a tutorial for the app and absolutely no explanation with regards to how the 'Diary' is actually for the cravings section within the progress part of the app.